That's the annual rate for new homes beginning construction in August, the Commerce Department reported Tuesday. 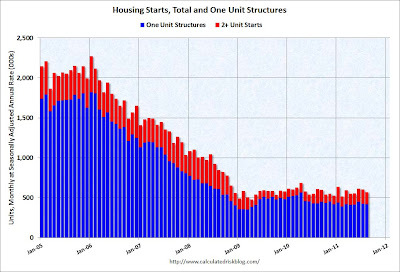 Housing starts came in below the 590,000 figure expected by economists and represent a 5 percent decline from July to a three-month low. While the industry remains in the doldrums, building permits - proxy for future construction - unexpectedly climbed.